In a stress reaction we react habitually and automatically to a situation. We aren’t aware of what we’re doing, similar to a knee jerk reaction. Alternately, in a stress response you have given yourself a few seconds to stop, become conscious of the situation, and choose how you want to respond. In an earlier blog, “Can’t Help But Smile,” I discussed a day in which I received a parking ticket and chose to look at the situation as an opportunity for growth; a lesson learned. Many people in the same predicament would have exhibited anger or frustration. Remember, energy is contagious. Walk around with frustration or anger and see if things get better. People around you will either take on your frustration or avoid you altogether. Rather, practice the art of letting things happen. Understand that there are good and bad circumstances that will arise on any given day. Let them happen, without attachment, and respond to them appropriately. Too often we worry about that which we cannot change. Something that can always be changed is our response. Just giving yourself those few seconds of awareness changes the situation into one in which you have more influence and control. Mike, your awesome! 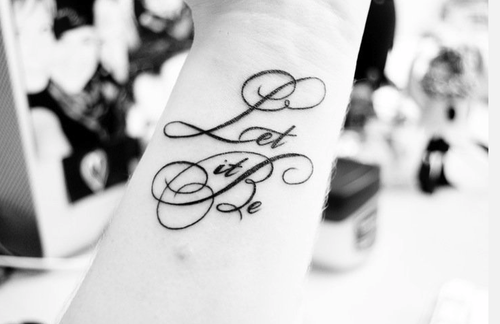 Keep it up and let it be!